Designed by famed architect Sir Terry Farrell, The St. Regis Shenzhen occupies the top 28 floors of the Kingkey 100-story building, a stunning steel and glass tower that is transforming the city’s modern skyline. 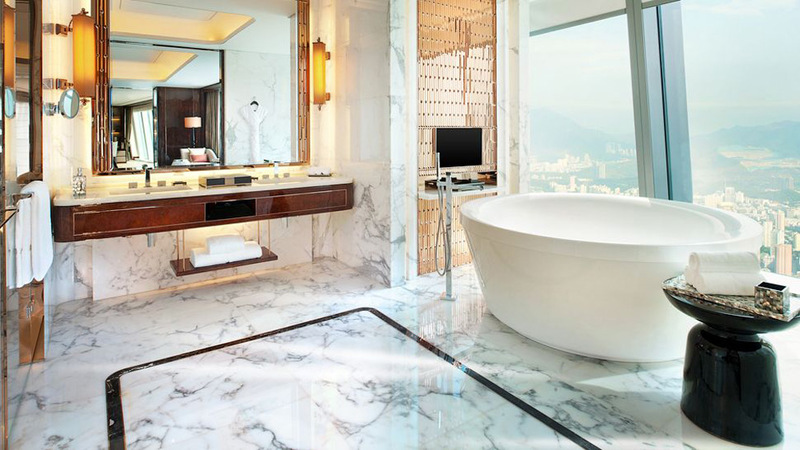 Located in Kingkey 100 in the hub of the Luohu district, The St. Regis Shenzhen Hotel offers panoramic views of Shenzhen and northern Hong Kong. 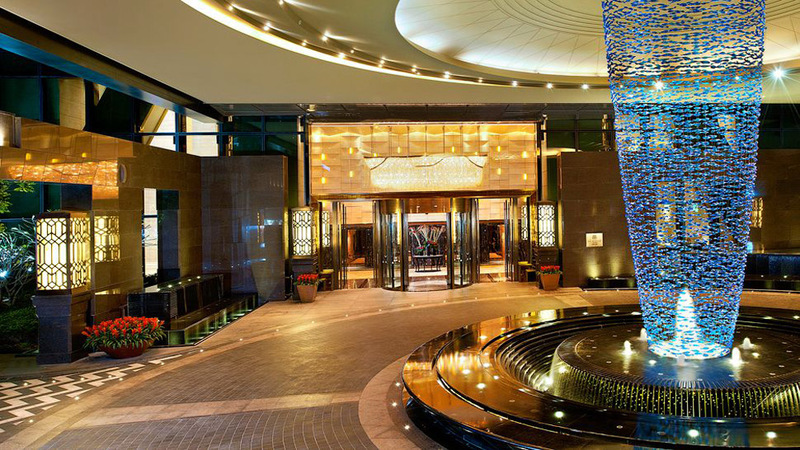 The property from the 73rd to the 100th floor offers 257 elegantly appointed guestrooms and 40 suites equipped with modern amenities to maximize your comfort. 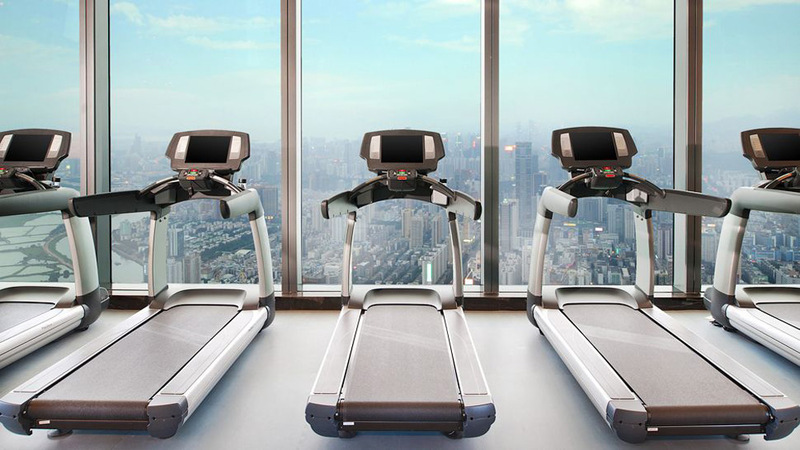 The top floors of the tower offer a diverse selection of signature restaurants and unique lounges, as well as a spa on the 75th floor featuring an indoor swimming pool with birds-eye views of the city below. 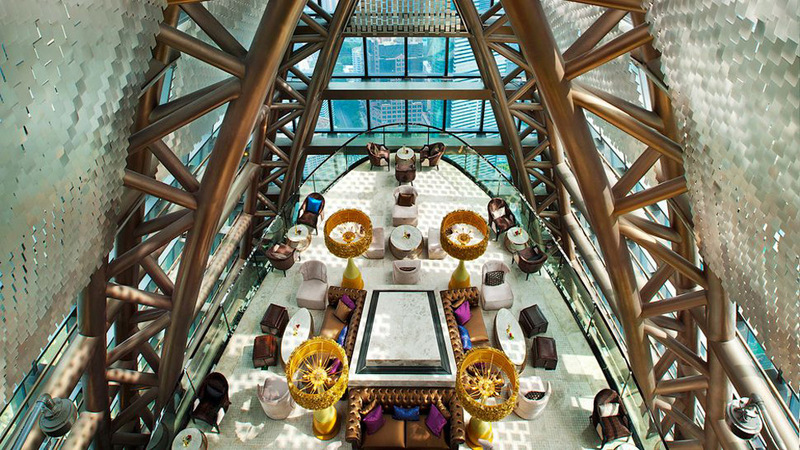 A wide array of restaurants and lounges are situated on the top floors of the hotel, where outstanding views accompany exceptional cuisine. 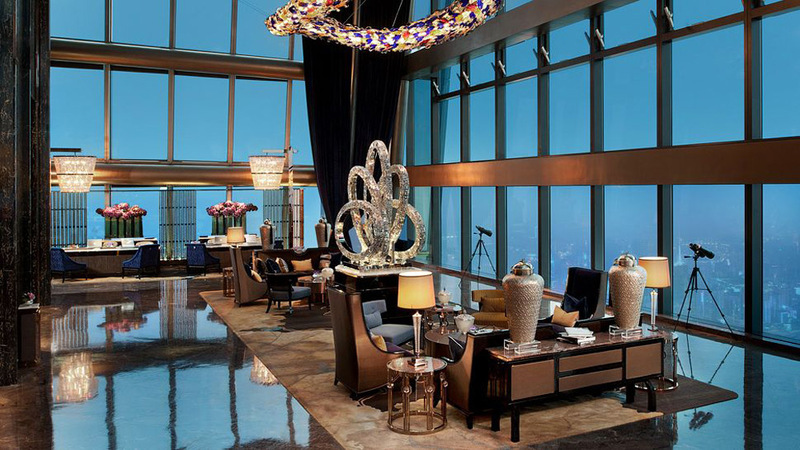 Located on the 95th floor, Tian Gong is an intimate Chinese restaurant offering private dining in one of five dining rooms. Also on the 95th floor, Social offers all day dining featuring international cuisine and endless views in a lively atmosphere with an open kitchen. Elba, located on the 99th floor, offers authentic Mediterranean dining and fine wines in a lively atmosphere centered around an open kitchen. Located in the St. Regis Lobby on the 96th floor, The St. Regis Bar and the Drawing Room brings back the hotel glamour of the early 20th century with classic cocktails and the enduring tradition of afternoon tea. Decanter, on the 100th floor, is a sky-high urban wine bar offering one of Shenzhen’s largest selections of wines alongside impressive views and a private tasting room for small gatherings. On the penthouse level, the St. Regis Shenzhen introduces a new concept with Malt and Library, a whisky and cigar bar featuring an extensive menu of single malts served with Cubans. The hotel also offers 2,100 square meters of meeting and function space, including a ballroom and eight separate event rooms with versatile layouts and state-of-the-art amenities. 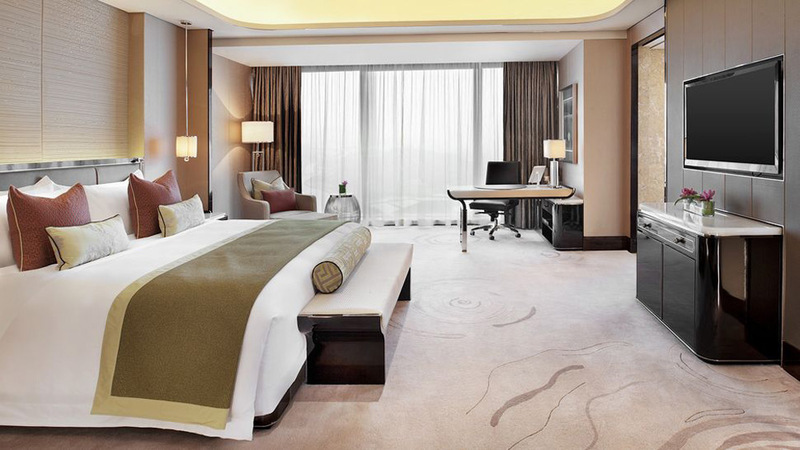 Maintaining high standards at all levels, The St. Regis Shenzhen Hotel will definitely make your stay a good one. Next article Donald Trump’s Favorite Car?